In the hands of LOVE2LAUGH2LIVE. Use TB2QA0B to reference this item. We will move along shortly. 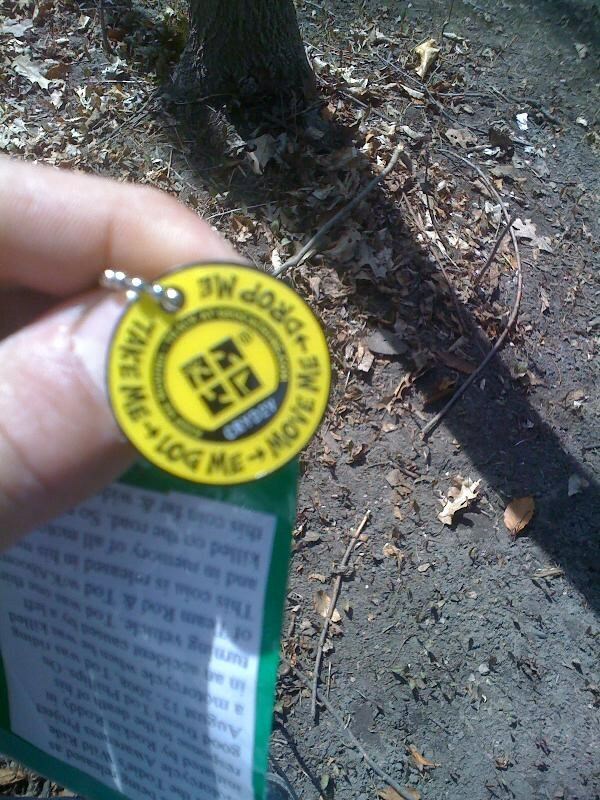 Very nice idea for a geocoin! Found this in a cemetary cache in Romulus Michigan while in the area for Penguicon '09 w/ DH. I have an uncle who was severely injured in a bike accident last summer due to a careless driver turning in front of him without checking his mirrors. It really is such a shame and everyone needs to be aware at all times & for all vehicles when out on the roadways! Will release in our home state of Ohio to keep him moving along. Will update upon release. THANKS! This is the second Todie's Wild Ride associated geocoin I have come across recently. I found my first one near Detroit, Michigan, and picked this one up about 20 minutes east of London, Ontario. As a professional driver I can appreciate the messages being spead by this project; and they do not only apply to motorcycle safety but to all vehicles on the road. Good cause started by a lone geocacher. Help keep the word spreading. Neat little coin, glad to see Im a part of its life in the early stages :) I will pass this on asap.